Different wavelengths of light interact with matter in different ways. Our atmosphere, for example, is largely transparent to visible wavelengths, but absorbs much of the ultraviolet. Dust surrounding the center of our galaxy absorbs visible light, but is more transparent to radio waves. As a result it is useful to observe objects at a range of wavelengths. Sometimes this light is reflected from natural sources or emitted by the objects themselves, but sometimes we actively shine light on an object to get an image. One way to do this is through radio waves. The radio telescope at Arecibo not only detects radio waves, it also has a large transmitter capable of sending radio signals into space. While it was once used to send a message to potential aliens, the transmitter’s main use it to reflect radio signals off solar system bodies. The timing of these signals can be used to measure the distance to planets more precisely, but with high resolution imaging we can also make detailed maps. 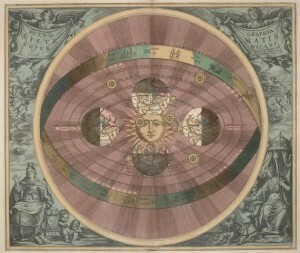 Recently maps were made of the Moon (seen above) and Venus by beaming a radio signal from Arecibo and observing its reflection with the 100-meter radio telescope at Green Bank. Reflected radio images such as these are useful because radio waves are not only transparent to the atmospheres of Earth and Venus, but they are also largely transparent to fine dust. 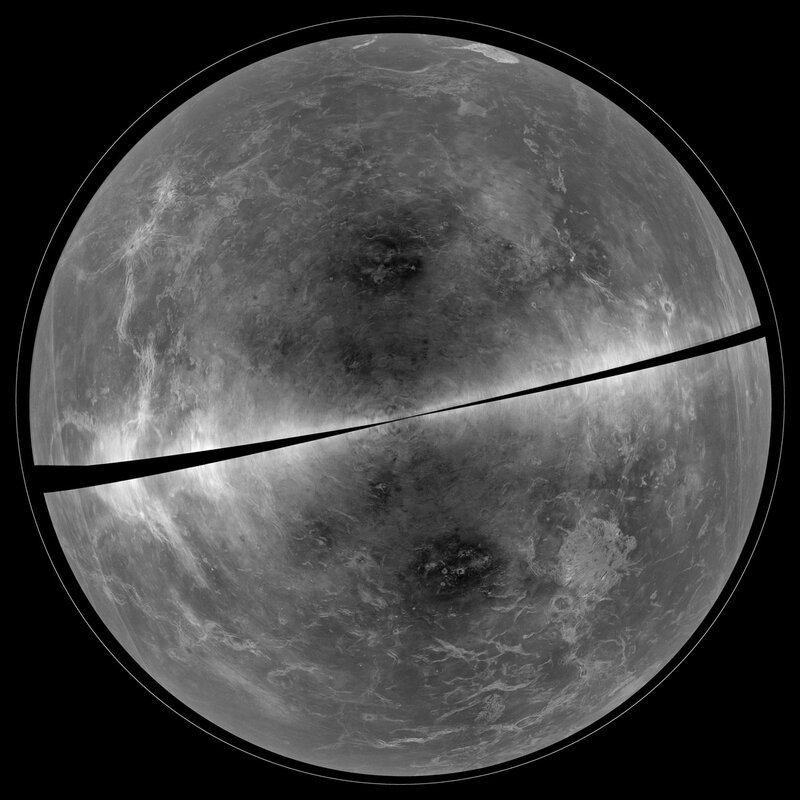 For Venus this means we can get a high resolution image of the surface obscured by thick atmosphere. 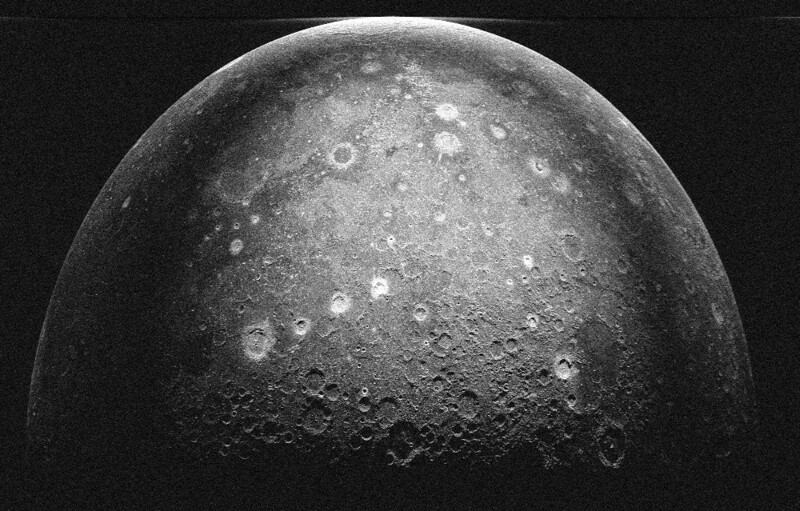 For the Moon this means we can get a map of any surface features that may be obscured by dust on the Moon’s surface. What’s amazing about these images is how high their resolution is. While they look like regular telescope images, they are actually radio images. The shadows you see are radio shadows from the transmitted beam, similar to the way a rough surface can cast shadows from the beam of a flashlight. The resolution of these images are a good demonstration of just how sophisticated radio astronomy can be.